KineOptics is a small instrument design, engineering, and manufacturing company, specializing in precision mechanical components and instruments. We provide valuable services for science and industry, as well as the research and academic communities. 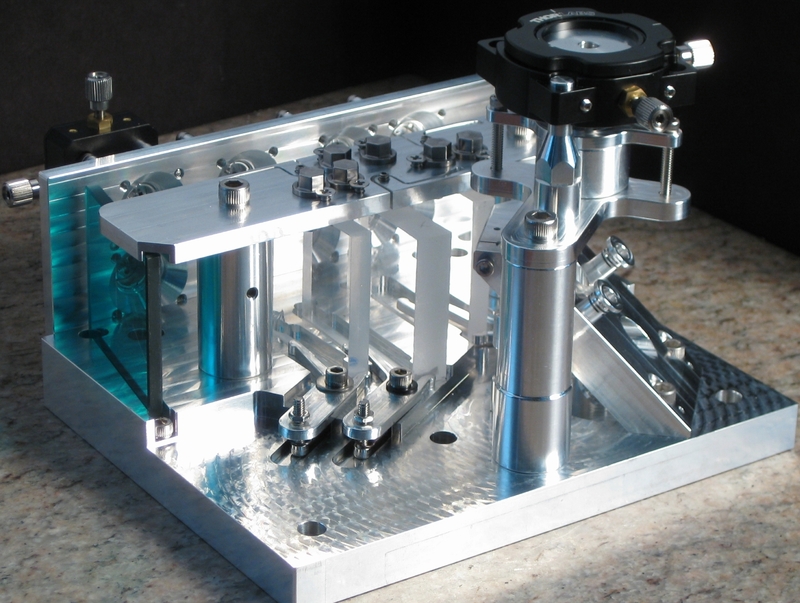 Working with KineOptics, scientists and engineers can acquire a custom instrument or component without extensive design, engineering, and documentation concerns. We can work from basic concepts and solid model files. At KineOptics, we also like Astronomy and telescopes. We have worked with large and small observatories on projects ranging from instruments to individual components. We have also provided design services and consultation. KineOptics has over 35 years experience with instrument design and fabrication. Utilizing our well equipped instrument shop, most projects can be completed from original concept to finished instrument. KineOptics has published a web based application for engineers and scientists to use on their mobile device or browser. Click here to go to the Speed Engineer installation page, or click the Solar Spectrum above to go directly to Speed Engineer.